As you know there are a number of applications that utilize GPS. GPS stands for Global Positioning System. It is a radio navigation system that allows land, sea and airborne users to determine their exact location, velocity, and time 24 hours a day. We hear about GPS all the time these days. Very prominent in all technologies and applications like Google Maps, Foursquare and so many others that are asking you to allow them to know your location. They’re creepy and they’re kooky, Mysterious and spooky. 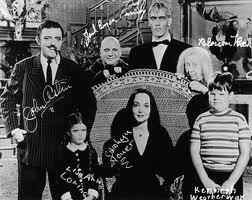 They’re altogether ooky, The Addams Family. Their house is a museum. When people come to see ’em, They really are a screa-um. The Addams Family. Neat, Sweet, Petite. So get a witch’s shawl on. A broomstick you can crawl on. We’re gonna pay a call on The Addams Family. We have covered a number of applications previously that want to use your location to provide you with coupons, deals and offers to visit their retail locations. Foursquare states that it makes the real world easier to use. They build tools that help you keep up with friends, discover what’s nearby, save money and unlock deals. Glancee takes this further and helps you discover these hidden connections and meet with people important to you. Explore the profiles of people nearby and be notified when somebody has common friends or mutual interests. Text or call, meet up for a coffee, and stay in touch. Create new, meaningful connections with new people just like you. And here comes a new entrant into the mix – Highlight – Highlight is a fun, simple way to learn more about the people around you. As you go about your day, Highlight runs quietly in the background, surfacing information about the people around you. If your friends are nearby, it will notify you. If someone interesting crosses your path, it will tell you more about them. Highlight gives you a sixth sense about the world around you, showing you hidden connections and making your day more fun. Next postGrowth – What is your Metric? Creepy for sure. I have decided.